Trying to ID a vintage railroad pocket watch. Discussion in 'Pocket Watches' started by 46pikey46, Oct 31, 2017. Cheers everyone. 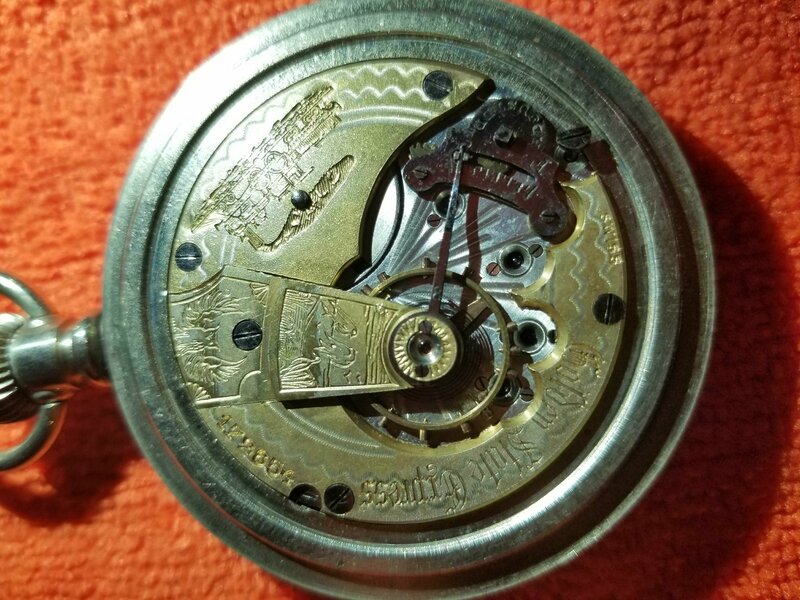 I am trying to help a friend learn more about an odd pocket watch he has. We have looked everywhere and cannot find any information about this watch. It is a Golden State Railroad pocket watch and the case is manufactured by the Philadelphia Watch Case Company. It has a porcelain face and 24k gold hands. It has Swiss movement. And that's about we know about it. Would definitely like to establish the approximate value and era of manufacture and use. Google has been of no help. I hope someone here could lend a hand!